Structural steelwork and construction safety solutions specialist, Billington Holdings, has announced a record performance for 2018. Revenue was up 5.2% to a record £77.3M, compared to £73.5M in 2017. Profit before tax increased by 11.4% to £4.9M up from £4.4M the previous year. Billington Chief Executive Officer Mark Smith said: “We are delighted at the progress which has been made across all our Group companies during 2018 and this has helped Billington deliver a record performance. We will continue to monitor both the challenges and opportunities which may result from the UK’s exit from the European Union. To date we have seen no discernible impact on trading or enquiry levels, he added. 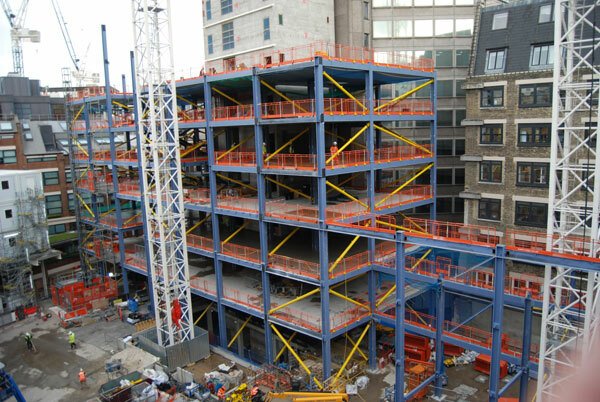 During 2018, the Group’s steelwork business Billington Structures delivered a number of prestigious projects including 125 Deansgate commercial development in Manchester, London School of Economics and 7/8 Wellington Place in Leeds. The Group’s other businesses also reported strong performances including Leeds-based Peter Marshall Steel Stairs and easi-edge, the leading site safety solutions provider. “2018 has been a successful year for Billington further cementing its position as one of the leading structural steelwork companies in the UK. Consistent, managed growth over recent years provides the Group with a solid platform to further enable it to progress and develop,” summed up Mr Smith.